ImageSpy enables any Series 60 device to observe its surroundings and raise an alarm when it detects a motion. The raised alarm type can be pre-defined as audio, silent, message (MMS/SMS) or a phone call. 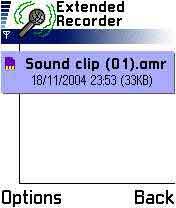 Extended Recorder is a tool that overcomes 60 seconds limit imposed in Nokia phones and allows recording really long voice notes and registering incoming and outgoing calls. 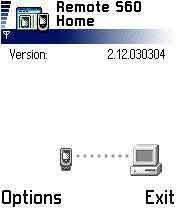 You can start and use any application without touching your phone.Remote s60 help you create screenshot and even aloow you to record AVI moview from the sreen of your mobile phone. SounderCover gives you the ability to add a background sound to any incoming or outgoing call, giving the impression that you really are in the environment where the background sound is normally heard. 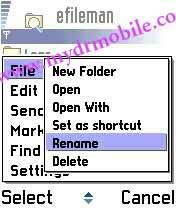 Pictures are saved in a folder accessible via the Images application. 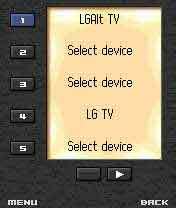 You can select one of the formats: jpg, JPG or MBM. 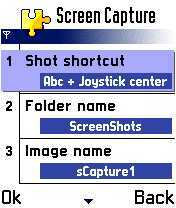 Screen Capture works in the background and has no influence on any other running applications.